Obviously, I know how to keep myself fit. They were gonna use me as the Brawny guy on them paper towel rolls, but they wanted me to cut my beard! So obviously, I told ’em where they could stick their paper towel rolls. But anyhow, lotta folks ask me what it is I do to stay fit. So, I reckon that’s the question to be axed this week! Now, I am a firm believer that just working hard is all it takes to keep a man strong and lean. Only fake-muscle boys worry about “reps” and “maxing out”. I just worry about gettin’ a job done. So I don’t focus on a particular “workout” per se. 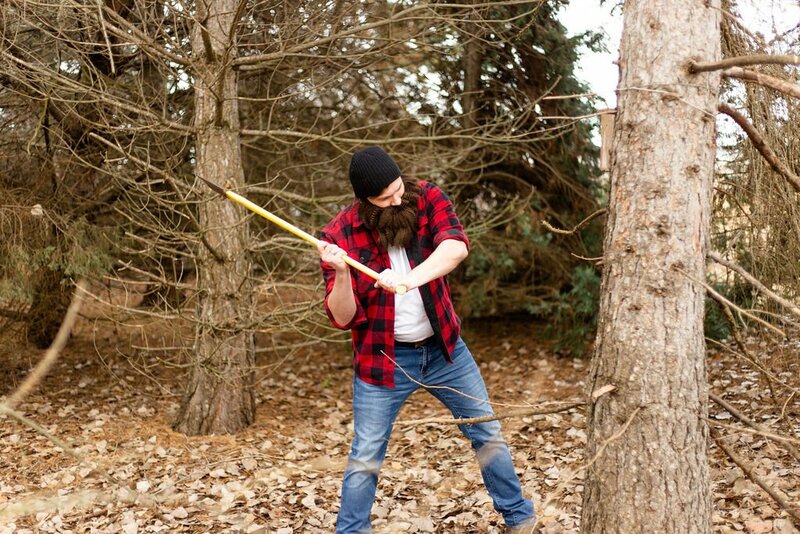 What I have is really just a lifestyle- the life of a lumberjack. I cut down trees. Chop wood. Haul lumber. After a good 10hrs or so of that, I’ve worked myself up into a pretty good sweat. That’s all the exercisin’ I need! But, I understand that not everyone has the blessed privilege of living a true lumberjack life. We lumber-men are so efficient at our jobs, there ain’t a whole lot of work to go around! So, if you ain’t a lumberjack by profession but still want to get #lumberjacked, I’ve developed a training program for you. Shirt must be worn at all times. This is work, not a performance. None of that “pre-workout” garbage. Throw it away. These exercises work great for the lumberjills as well, but NOT if yer only interested in takin’ pictures of yerself in gym clothes. These can be done anywhere except in church. No gym membership required. The Lumberjack Workout replicates 3 specific tasks a lumberjack does every day: The lateral chop (when cutting down trees), the crosscut (when sawing logs), and the downward chop (when splitting wood). Now obviously, nothin’ burns tree-cutting calories like actually doing it. But if you don’t have access to a forest full of timber, the Lateral Chop exercise can be a decent substitute. Hold the heavy object you’ve selected with both hands straight out in front of you, arms fully extended. In a quick, chopping motion, swing both your arms side to side, left to right, as if hacking at a nice Ponderosa pine with an axe. Make sure to twist at the hip with each swing- this will engage your core, and help you chop longer. Continue this motion without stopping until your turkey has fully thawed or the kid starts crying. For obvious reasons, the rock is the best option for extensive training. Every lumberjack has big strong forearms and lats built up with a saw. The crosscut- one man sawing at a log- is what this exercise replicates. You’ll need: a big dog, a leash, and a bowl of his favorite food. It’s also smart to wear shoes with good traction. Attach the leash to the dog, and hold onto the leash with both hands, with the bowl of tasty dog food out in front of the both of you. You want to be standing far enough away from the food that the dog can only reach it when you extend your arms all the way out in front of you. 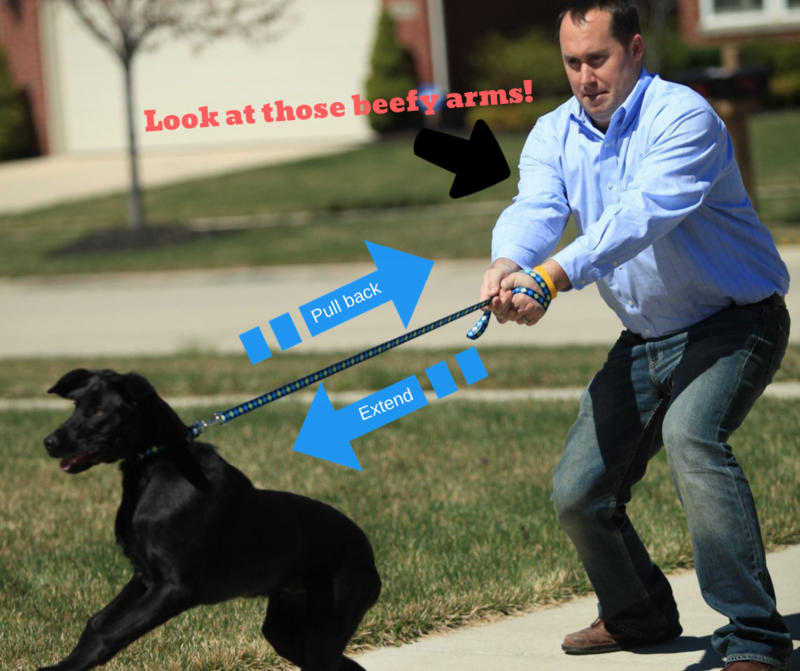 Repeatedly extend your arms to let the dog reach his food and get just a taste before using all yer grit to pull that leash back toward your body once again. This’ll make you feel the burn associated with prolonged sawing. Bigger dogs and tastier foods result in an even more grueling workout. Make sure to maintain good form. You are finished when either the leash breaks, the food is gone, or when the pup breaks loose and you can’t catch him. Once the tree is down, a lumberjack has to split the wood into pieces. 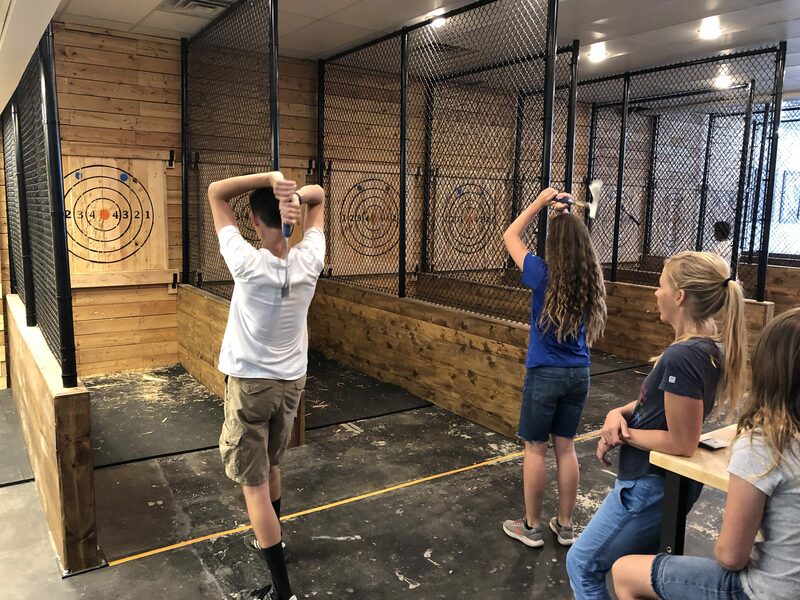 Axe throwing is not only fun entertainment- it also trains your upper body just like hackin’ at a tree would. You’ll need: a hatchet and something made of wood to throw at.  For the convenience of the city-dwellers, I’ve been opening up some urban axe throwing venues within city limits (Heber Hatchets Axe Throwing), with nice pre-made targets ready for you! Release the axe when it’s right in front of your head, in a straight line toward the target. 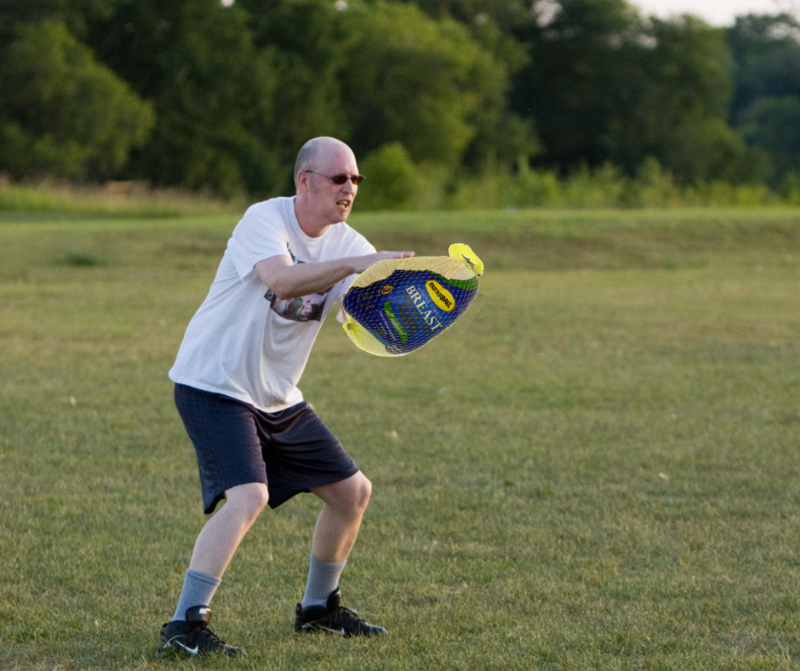 Make sure to follow through all the way with your arms, so they end up behind your body. Even if you don’t stick the axe in the target every time, it’s still good exercise. So there it is- The Lumberjack Workout. I still prefer a hard day’s work in order to maintain my manly figure, but I hope this regimen can be of use to the less-fortunate who aren’t lumberjacks by trade. At least you can still have the body of one.